As a young boy growing up in Westmoreland, Keith Smith had dreams of becoming a star. His neighbors in this western Jamaican town included such future legends as Peter Tosh, Lee ‘Scratch’ Perry and Ronnie Davis of the Itals. At the age of 17, like many aspiring artists of the time, Keith headed to Kingston to find a vehicle for his talents. 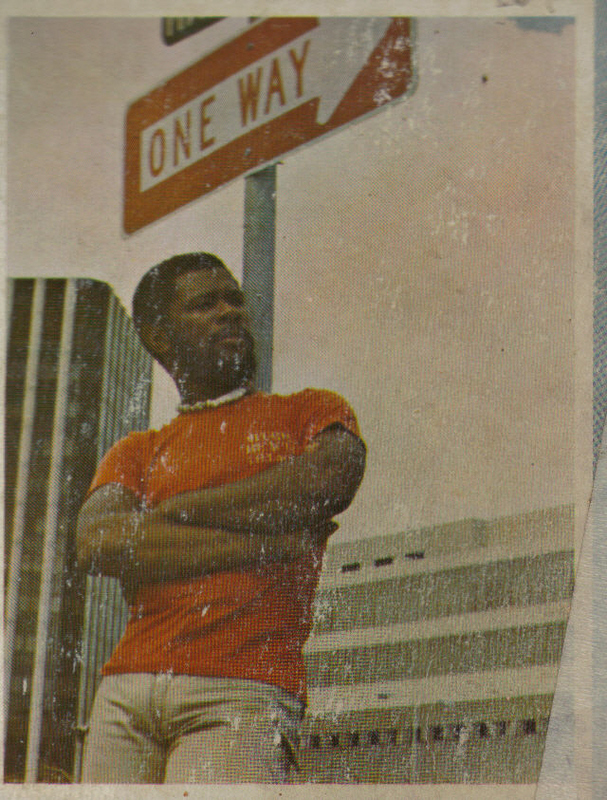 Keith’s natural ability and church-honed vocals soon led to him singing back up at Studio One after an afternoon audition with Leroy Sibbles and Clement “Sir Coxsone” Dodd. Keith sang on a few Studio One tracks and even recorded a few with his friends Junior Greene and Winston Neufil as the Robins, credited on some compilations as ‘Winston & Robin.’ He also sang backing vocals on the smash hit “Blood & Fire” by Winston “Niney” Holness aka Niney the Observer. Keith was soon performing at venues in town such as the Regal and the elegant Ward Theater, dubbed ‘the Apollo of Jamaica,’ while backed by such notable bands as Inner Circle, Soul Syndicate and the Byron Lee and the Dragonaires. In 1968, he formed his own band, ‘Rocking Horse,’ and began playing at local clubs and festivals. 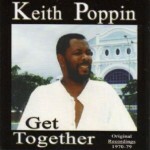 After a string of singles with Rocking Horse, such as ‘Get Together‘ and ‘Hard Time‘ and ‘Righteous Man,’ Keith’s wide vocal range and dynamic studio presence soon earned him the nickname ‘poppin’, from the original slang verb poppin’, as in “poppin’ all the right notes.” He later worked with Lloyd Parks in the early seventies, and in 1973 released his first solo single ‘Same Thing For Breakfast.’ This roots classic marked the beginning of a long and successful recording career, topping the charts in England and Jamaica and selling over 50,000 records. Now performing as ‘Keith Poppin,’ his bittersweet wail took him to number one again with the underground anthem ‘Envious’ in 1974, another number one song in Jamaica, and led to the album of the same name released in 1975. This album was produced by Phil Pratt with Ernest Hookim serving as studio engineer, with arrangements and bass from Aston ‘Family Man’ Barrett, as well Robbie Shakespeare, drums by Leroy “Horsemouth” Wallace and Carlton Barrett of the Wailers, keyboards by Ansel Collins and Oswald “Ossie” Hibbert, with guitar work by Earl “Chinna” Smith and Rad Bryan. Truly an all-star lineup of some of the best musicians! 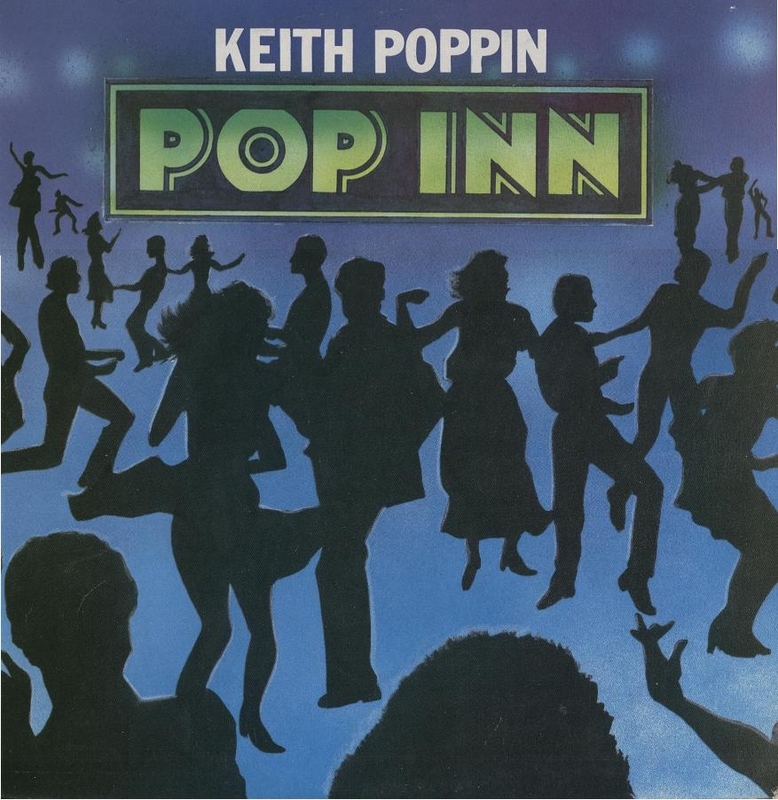 Keith continued his string of international hits, with the top five releases ‘Why Make Believe‘ and ‘Someday Girl‘ followed by ‘Who Are You,‘ which cracked the top ten in the UK in 1976 and appeared on the 1977 album ‘Pop Inn’ on the Burning Rockers label. Pop Inn featured the legendary rhythm section of Sly Dunbar and Robbie Shakespeare, and also featured additional keyboard work of his long time friend Ansel Collins and additional arrangements and bass from Aston Barrett. This album was recorded at Channel One Studio and distributed by EMI Records. After that came more singles for LLoyd Campbell’s Spiderman Label, “Whenever There is Moonlight‘ on Eagle and ‘Get Together,‘ which was produced by Glen Brown. Thoughout the late seventies, Keith had many additional releases on a variety of imprints such as ‘Hold Not Thy Peace‘ on Taurus and more singles on Impact, GG’s Records, Aries, VP, Crazy Joe, Pressure Disk, Chanan Jah, Galaxy, CMS< Lucky Star, Pilgrim, Movements, Blacknuss, World Wide Records, Duke of Earle, Lord Koos, Grimm Ben, Pantomine, Tribesman, Lace Records, Mango and many more. produced by Kay Claire and arranged by Dean Fraser. 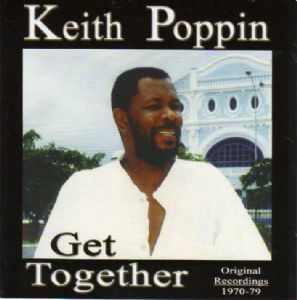 Following a brief hiatus from recording after the death of Peter Tosh, Keith Poppin reappeared on the Jamaican music scene with the song ‘In My Hometown‘ which took him to the finals of the annual Jamaican Song Festival. He also began producing other acts and promoting concerts with Jungle Lion Promotions, putting together shows with artists like Barrington Levy, Tiger, Tony Rebel and Mad Cobra during the eighties and early nineties. Keith’s album ‘Journeys‘ was recorded in 2000 at Dwight Pickney’s Abeng Studio in Kingston, ER Studios in Brooklyn and at NY South and 9th Hour Studios in Raleigh. Musicians included Dean Fraser, Sly Dunbar and Robbie Shakespeare as well as contributions from Jimmy London, the Tamlins, former Wailer Glen Adams, Johnny Lee, Glen Brown and even former Squirrel Nut Zipper saxman Tim Smith. ‘Journeys‘ was eventually released in 2002, and received well by fans and critics around the globe, including Chuck Foster of KPFK in Los Angeles, who commented at the time “…amazingly, Keith’s new compositions are as strong as some of his classic material.” Returning to the birth of his craft with a vinyl Jamaican 45, “When We Gonna Learn” was released as a single in 2005 on KP Productions. Keith linked up with West Coast producer Jerry Andrews in 2006 and after a year of tracking down the right songs and a bit of studio wizardry, he finally released the retrospective compilation ‘Get Together: Original Recordings 1970-79‘ to rave reviews in late 2007. A seasoned veteran and forefather of reggae music, Keith now lives with his wife Yvonne just outside Raleigh, North Carolina. Keith returned to Jamaica again in late 2010 to record his album ‘Speak Out‘ in Kingston with some of Jamaica’s best reggae musicians. Released in 2011, the album features contributions from Dwight Pinkney, Grub Cooper, Keith Francis, Ansel Collins, Rod Bryan, Ed Robinson and Donny Oxman. Keith’s good friend Ronnie Davis of the Itals arranged most of the songs and even sang backing vocals on a few tracks, along with members of the Tamlins. Hismost recent album release is his 2017 compilation album entitled “Vintage Keith Poppin: The Good Old Days,” a critically acclaimed collection of roots gems. 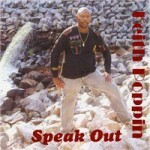 Still performing at concerts and festivals in North Carolina and Virginia, Keith Poppin has inked his name in the musical history book of Jamaica and beyond. He recently headlined a tour of Brazil and will perform at the One Love Festival in London in 2018. Keith was also named by the Jamaica Observer as one of the Top 50 reggae artists of all time in 2016, a fitting tribute to a foundation legend.